Mobile commerce has hit the tipping point with the majority of Australian retailers now selling via mobile devices, according to a study. Presented at the Online Retailer Conference & eCommerce Expo in Sydney this morning, Forrester’s study found that 55% of online retailers are now selling through an avenue that is accessible on mobile, a figure that has grown from 39% in 2011. But not only has the use of mobile grown, it has also surged to the top of the investment priority list, overtaking the core ecommerce platform as the most commonly cited priority for the future. Among those already selling via the mobile web, 49% said that mobile sites were a top investment priority for the year ahead. 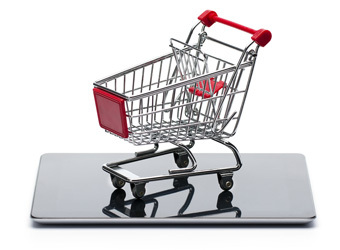 Furthermore, 54% of multichannel retailers and 29% of pure-play online retailers say mobile sites are now a top technology investment priority for the year ahead. Senior analyst at Forrester Research, Steven Noble, noted that in the three years that Forrester has conducted the survey proficiency with the use of connected sales channels has improved dramatically. However, despite the growth of mobile and apps, Australian retailers still take quite a narrow approach to mobile, the study found. Most are focused on the purchasing phase and are neglecting the role that mobile commerce could play within the wider customer life cycle, including marketing or customer service. Only 5% are currently using mobile channel usage data to better understand their customers. Also speaking at today’s conference was Carol Steinberg of ShopNBC, Tim Kilroy from Wayfair and Amy Africa from Eight by Eight. Tomorrow will see presenters from my-wardrobe.com and Forrester Research.